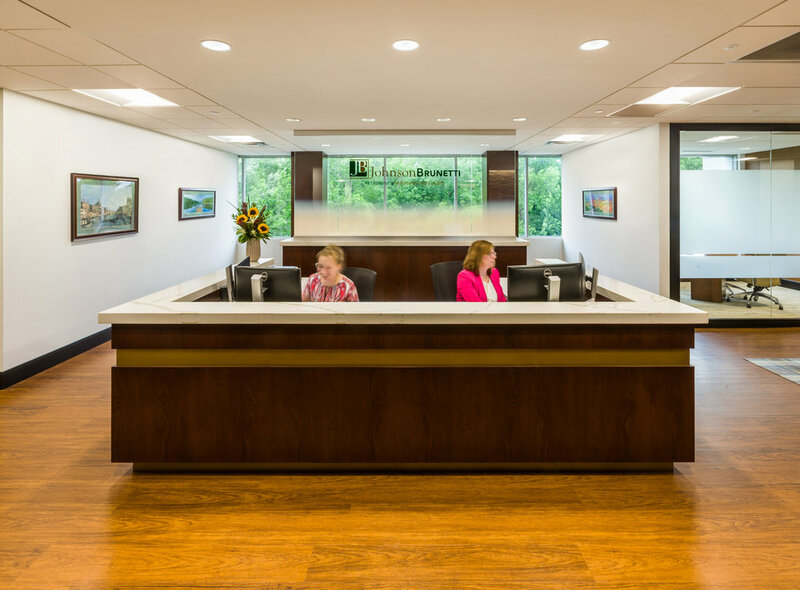 The newly renovated Johnson Brunetti Investments allows the company a more functional and inviting space. The new entry has more visual presence and welcomes clients into a large hospitable reception and waiting areas as well as luxurious and intimate conference rooms to ensure privacy and comfort. 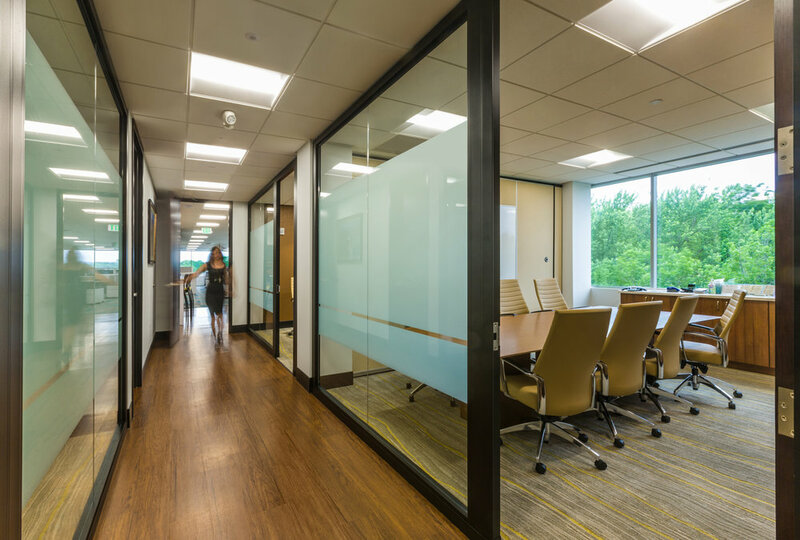 The employee area moved away from the traditional private office layout to an open floor plan with views of the outdoors allowing light to penetrate the office and promote productivity. In the back area there is an open and multi-functional breakroom, as well as a private studio for live broadcasting.to transition through the space.